Mistakes – everybody has made them. I came up with a list of seven common email marketing mistakes that you should steer clear of in order to have a trouble-free email marketing experience. This might seem like an article for email marketing novices but even the most experienced marketers slip-up every now and then. These seven email marketing mistakes can cost you your reputation, email marketing services provider, potential clients and good email delivery. It is human nature to want things quick and easy (except for those climbing eight-thousanders without supplementary oxygen). It is exactly this nature that drives people to look for shortcuts. Shortcuts are great…when they are not misleading. 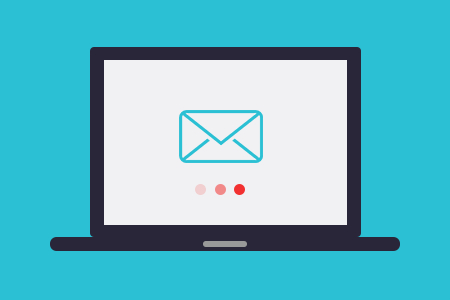 Case in point – using bought, borrowed or publicly sourced email lists in email marketing. It is fast. It is easy. It is also illegal. Although it may feel that it allows you to reach a larger or new audience, you are really associating your business with unsolicited emails and harming your reputation online and offline. According to email marketing best practice, emails in your list must be collected through an (preferably, double) opt-in process – that is, you must receive personal permission to send marketing emails to someone. With a properly built list, you will not only achieve a better delivery result but also, build trust in your company. Check out the Mailigen ‘How to Guide’ for more tips on email list building. If you are already throwing your hands in the air, baffled about how on earth you are supposed to grow your own email list – well, you can start by putting sign-up forms on your website. You can easily set these up in your Mailigen account – just follow our instructions on how to setup a web sign-up form. While you are at it, do not forget that you can also add your sign-up form to company’s Facebook page. 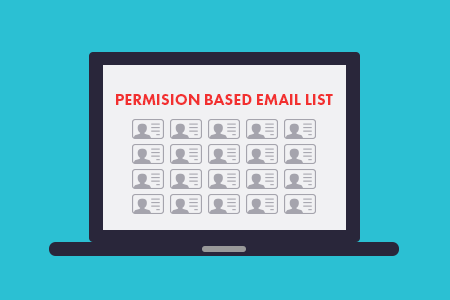 Website sign-up forms allow you to grow a permission-based email list and not lose sight of potential customers. This is a hassle-free way for people to willingly sign-up to receive your emails and for you to swiftly and efficiently grow your email subscriber list. Keep all proof of subscription evidence. This will come in handy if there are ever any complaints about your emails. People forget things, so there is always a chance that someone will forget subscribing to a newsletter and then report it as spam. Proof of subscription allows you to demonstrate exactly how and when someone became a subscriber, if such a problem arises. If you cannot provide such proof, your email marketing services provider can close your account and refuse to provide services. Sorry. 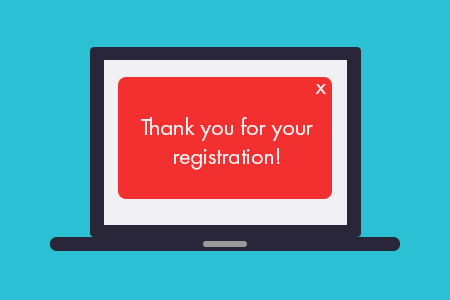 According to email marketing best practices, the only legitimate proof of subscription comes from web sign-up forms. However, if you have collected emails offline, permissions must be well documented. For instance, paper questionnaires, business cards and even recorded phone conversations can serve as proof. This is a common email marketing mistake that is at the heart of deliverability. 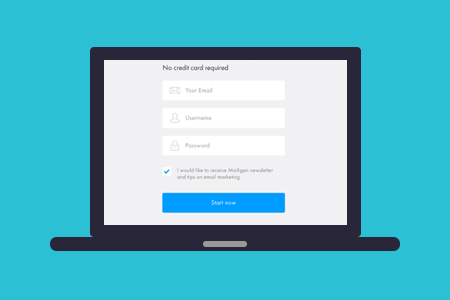 Here is the deal – if your email sender address is a public domain email address, you will not be able to send out campaigns from your Mailigen account. Therefore, you really must use your company’s address or private domain address. 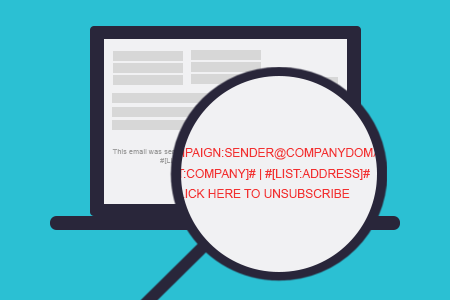 This is a rather new development in the email marketing world and it stems from the DMARC policy, which is designed to protect domains from abuse. More and more email providers are embracing this policy. As a result, there are some, like Yahoo and AOL, who do not allow bulk emails to be sent using their domain addresses. There is no turning the tide, so a private domain address is now required when sending email campaigns from a Mailigen account. You can also set up DMARC protection for your domain. This way, you can make sure that no one is sending emails from your domain without permission. Including images and pictures in your email is a great idea. 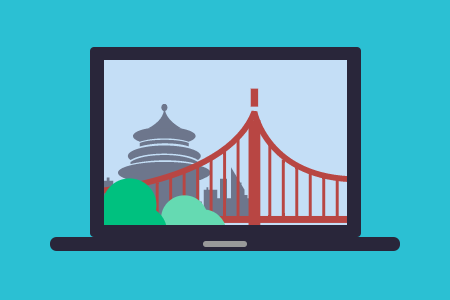 Having an email as one big image – not so much. Two things. Firstly, email providers cannot read such an email. Therefore, there is a good chance that it will go straight to the SPAM folder, where it will join emails from the Nigerian prince and other SPAM greatest hits. Secondly, even if the email miraculously escapes SPAM filters, some email providers block images, so the first impression when opening the email will be – why is it empty? You can work around image blocking, but SPAM filters…? That is a tall order. So, maintain a balance and keep the text and eye candy ratio to 50/50 or 60/40. This way, you will get a visually strong email that still has something to show when the images get blocked and does not attract the attention of SPAM filters. Wanting to be seen as generous can backfire, especially if your interpretation of generosity is large attachments. 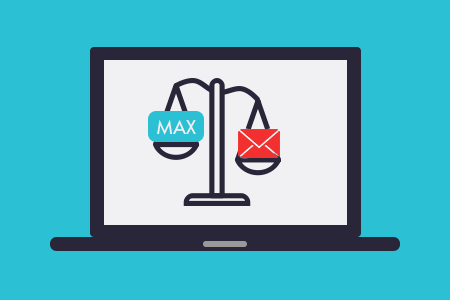 Public and private email providers tend to have size limits for attachments, so if your email has an attachment that exceeds that limit, the email will not be delivered. Furthermore, email providers can identity emails with a large attachment as potentially harmful and block it or mark it as spam. Again – not delivered. So, keep your attachments as small as possible or, better yet, do not attach anything at all. The following is not a rule that is set in stone, it is more of a heads-up. It is suggested that emails should not exceed the 100 KB limit, as larger emails tend to run into deliverability issues. Firstly, large emails get caught in SPAM traps. Secondly, large emails are slower to open. This might seem like a non-issue but it is when you remember how impatient people are in this age of instant this and instant that. So, keep these risks in mind and weigh them against the value of sending large emails. If you want your emails to be delivered smoothly, 100 KB is the size limit that you should keep in mind. No email marketer is immune to making mistakes and, sure, you will make some of your own. However, over the years, so much experience has been accumulated that it would be silly not to learn from the mistakes of others. Start with learning from these seven email marketing mistakes and have a smoother email marketing experience.